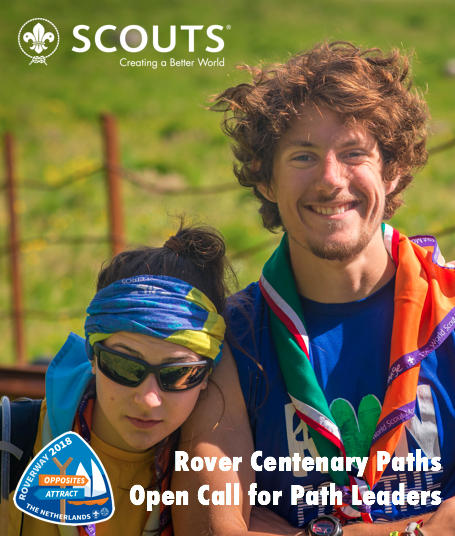 Do you want to experience Roverway 2018 as an organiser of one of the WOSM Rover Centenary Paths at Roverway 2018? Are you willing to take the challenge of defining, planning and implementing a Path programme for 50 Rovers during Roverway 2018 in the Netherlands? Do you have a friend with whom you feel comfortable working with and whom you trust to form a national team to deliver a WOSM “Centenary of Rovering” Path? We are looking for 10 teams to deliver 10 “Centenary” Routes next summer in the Netherlands! This is a new opportunity which arose as a result of Roverway planning (hence the short deadline) but we are sure that there is enough experience, interest and excitement in Europe to provide 10 unforgettable set of experiences to 500 Rovers next year in the Netherlands! Note the short deadline for this call and make sure to signal your interest by 15 January 2018! Please check Regional Circular 34 2017 for further details! 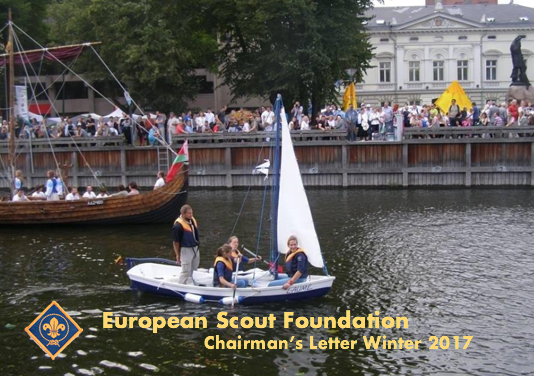 We are pleased to share with you the Winter 2017 edition of the Chairman’s Letter of the European Scout Foundation. It provides you with updates on recent activities of the Foundation and its major project, the “Friends of Scouting in Europe” (FOSE). For more information, please refer to the Foundation’s website and Facebook page. 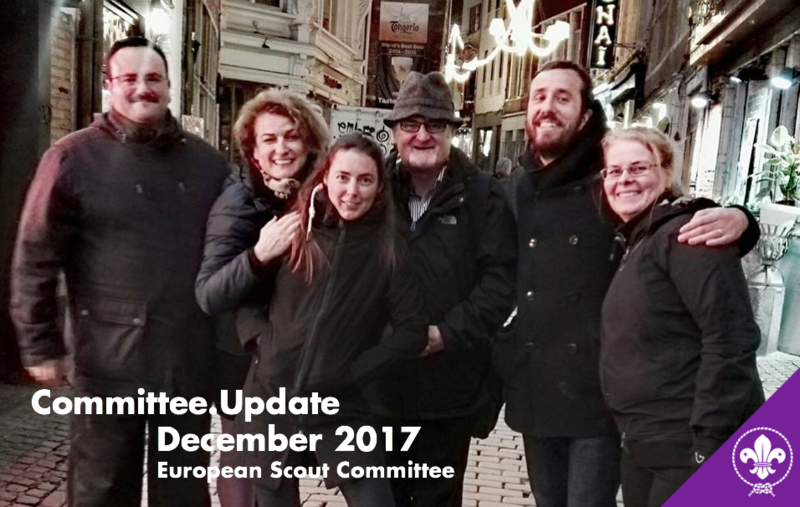 The European Scout Region is pleased to share with you the most recent edition of Committee.Update which summarises the discussion and decisions made by the European Scout Committee of the World Organization of the Scout Movement at its recent regular meeting held in Brussels, Belgium. 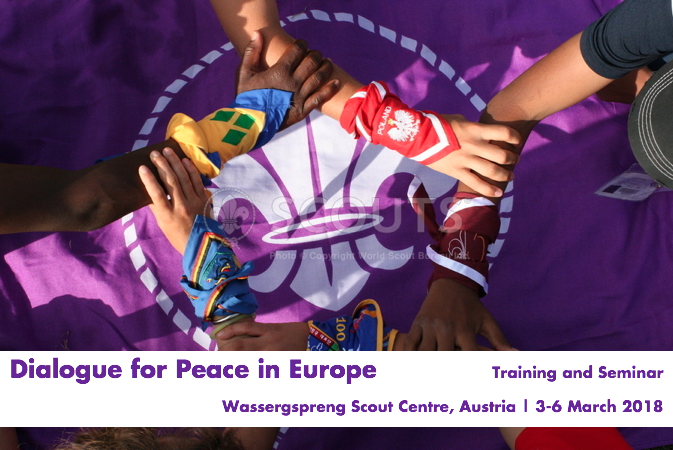 In line with objectives set in the European Regional Scout Plan 2016 – 2019 and following the successful implementation of the Work Plan 2017 “Scouting for Peace” project co-financed by the Council of Europe – European Youth Foundation, the Messenger of Peace Support Fund and in collaboration with KAICIID – The International Dialogue Centre, it was decided to continue the collaboration between the European Scout Region and KAICIID – The International Dialogue Centre in Peace Education and to organise a Training and Workshop under the title “Dialogue for Peace in Europe: Through Intercultural, Interreligious Dialogue and Spiritual Development” at Wassergspreng Scout Centre, near Vienna, Austria, in March 2018. – to enhance the Dialogue for Peace manual with reference documents and activities on interreligious and intercultural dialogue and spiritual development. KAICIID experts will provide the participants with knowledge on human perceptions and misperceptions, cultural identities, the principles of dialogue, and designing and facilitating dialogue. 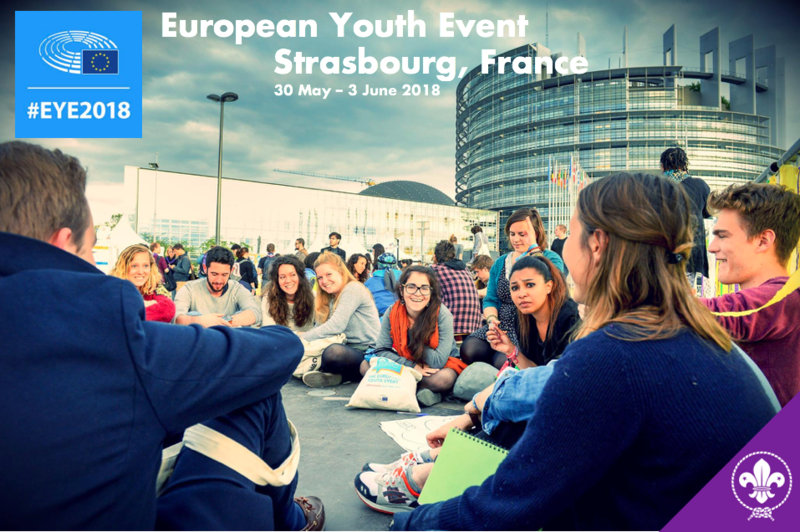 The European Region of the World Organization of the Scout Movement (WOSM) is calling for participants to join activities organised on the occasion of the European Union’s upcoming European Youth Event (EYE 2018) which will take place in Strasbourg (France) between 30 May and 3 June 2018. The European Parliament will once again open its doors to 8000 young people from all over Europe in an effort to engage them in political debate and society, giving highlight to important key issues such as peace, democracy, unemployment, work and environment. The EYE 2018 will include a large variety of activities run under the motto “The plan is to fan this spark into a flame” in a political, social and cultural sense. It is a huge opportunity to meet young Europeans and make youth and our ideas visible to decision-makers. Next to the premises of the European Parliament there will be the YO!Fest, a youth-led festival organised by the European Youth Forum that takes place every year in front of symbolic places of the EU institutions. The YO!Fest combines high-level policy debates, thematic workshops, educational activities, cultural animations and live music into a unique experience. If a young member of your National Scout Organisation would like to be considered participant, please make sure that the online form is completed by the deadline 10 January 2018!